Kinjo dam is located between Hantagawa and Kinjo-cho districts in Shuri, Naha City. 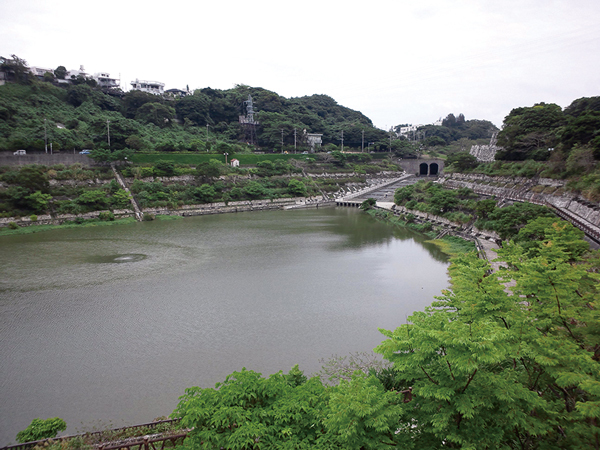 The dam was built to control the floods of Asato River which streams from Bengadake Hill in Shuri, Naha, and used to overflow frequently after heavy rains, especially in downtown Naha at the current Kokusai Street area. 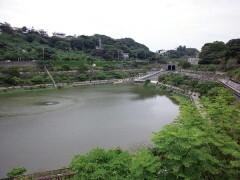 The prefecture built the dam that was completed in 2000. It’s located very close to Shuri Castle, and is a good place to take in some relax time in the middle of very urban surroundings.